Do I really need a climbing helmet for bagging 14rs with class 3 routes? I had such a grand time climbing Snowmass mountain a couple years ago (my first 14r), that I want to try a few more this year in the San Juan's. I've been reading up on such pursuits and everyone's list seems to include a climbing helmet. I didn't use one on Snowmass (but I also wasn't planning on bagging that peak, it just kind of happened). Is there any correlation at all to the difficulty rating of a route and the safety gear required? The ones I'm eyeing are class 3 and 4. My initial thoughts are that I won't try the class 4 unless I can find an experienced partner. But regardless, am I being overly dangerous (or outright stupid) to think that I can skip the helmet? My question is general but the ones I'm looking at doing soon are Mt Eolus, Windom Peak and Sunlight Peak. I wouldn't bother with a helmet on the scramble shown in your pic, but others may. Back in the day no one used helmets at all. But history includes lots of climbers dead from headshots. A cameraman for the 1975 Clint Eastwood movie, Eiger Sanction, died after getting hit by a fist size cobble while filming in Estes Park, Co. I don't like helmets, but acquiesce to safety. If you need a rope, wear a helmet. If you may fall and risk a head injury, wear a helmet. If on icy inclines, wear a helmet. Generally Class 4 does not compel me to wear a helmet. Back when Barb and I were starting to race bicycles, the only thing close to a "helmet" was better described as "leather hairnet". After I took a head over the handlebars and got a really severe headache, I got advised by the surgeon that I had a concussion and that I really should consider a helmet. Over the years of racing and seeing crashes where people got really serious head injuries, the US bike federation started requiring helmets and shortly after, even the pros in the Tour de France started wearing them, with the result that head injuries diminished rapidly. There are too many ways for nature to loosen a rock far above you. So for many decades, I have gone to the "better safe than sorry" view on helmets and other things. And I have seen too many incidents in climbing where a "harmless" situation ended with someone getting a "serious headache". In my avatar photo, you will note that I am not wearing a helmet. That was in Antarctica on level (more or less) ground. On the steep slopes, however, we used helmets. Sometimes a rock melts loose above you. Yes Patman get a helmet and wear it. It only takes one rock kicked loose from above to ruin things. 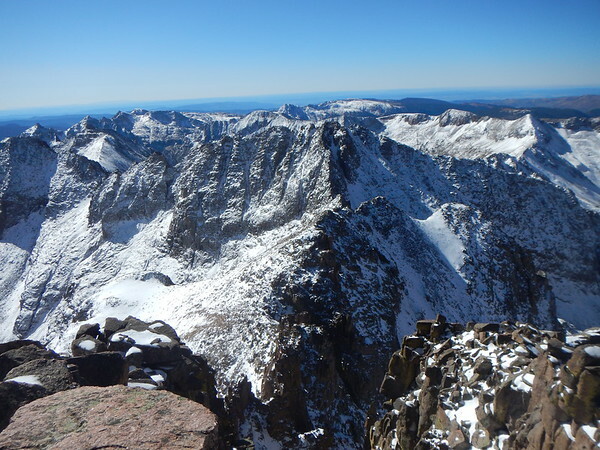 Many of the 14er's see a great deal of traffic during the climbing season if you are tackling ones with class 3 routes. Better safe than sorry. I'll bet you can find a good, used one on fleabay. I'd go with a helmet. The question you have to ask yourself, is how valuable is head? You had mentioned Class 3 and possibly Class 4. Either way, a rock can fall from either of those type of routes. You have to ask yourself, if, in the first photo, someone dislodged a golf ball sized rock forty feet above you, would you be injured if it hit your noggin? Of course, years ago, none of us used helmets cycling(I wore a leather hair net) or paddling. And climbers used wore little tyrolean felt hats. We also climbed with goldline rope. But times have changed. My climbing partner had a rock shaped like a quarter cut open his brow and cause a decent-sized leak in his skin. Teensy flake, left him with a cute scar. He had promised his wife previously that he'd buy a skid lid but hadn't yet. I eschew a helmet only on really steep, clean rock routes where bonking your noggin or pulling rocks down is a very low possibility. Even marble-sized rocks can hurt or make you lose your concentration and balance. Thanks guys points well made and received. I now own a Petzl Meteor climbing helmet. Folks mentioned use a helmet because of rock fall. If you are wearing a helmet because of other parties somewhere above you, the wise solution is don't climb there! If you are wearing a helmet because you fear random rocks breaking loose on their own, then don't climb there either! Bowling alleys (routes with natural rock fall hazards) and shooting galleries (routes with parties bombing others from above) should be avoided at all cost. Construction hard hats protect against a dropped screw driver, not a 16oz hammer or I-beam. Cycling and ski helmets protect against a fall to the ground, but not impacts with immoveable objects. Climbing helmets protect against colliding with the wall on a pendulum fall, golf ball size rocks and low velocity falling cobbles, or slip/falls on ice that land head first. But these helmets are useless when struck by high velocity objects and rocks larger than a shoe. Driving home this point. Motor cycle racers call helmets brain buckets because the only purpose they seem to serve in that venue other than falling to and skidding along the ground, is containing the splatter when your head mashes into the guard rail. The chief reason to wear a helmet is to protect you from minor falls and rocks dislodged by your own climbing team. Almost all other scenarios are exceedingly rare or the result of exercising bad judgment. Good post by Ed. I would add that it is sometimes impossible to avoid a party above you in crowded areas. 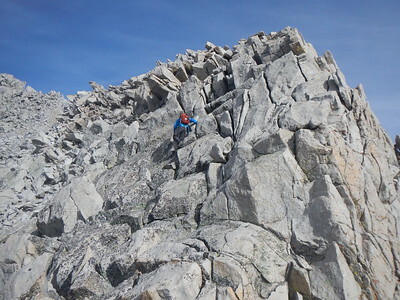 Here in the PNW, Mountaineers trips, or trips that Mountaineers are on, are famous for rock fall. As well on some climbs, it is impossible to avoid stretches where natural rock fall occurs. If you get a late start or are slowed by a difficult section, you can find yourself watching the sun come up on an icy face. Rock loosened by melting can reach you there. And a key thing to remember, even a glancing blow without a helmet can leave both injured, but more importantly, disoriented. Being on a face with a disoriented partner could spell tragedy for both. Wear a helmet. If nothing else, you can sit on it to rest!. I think you knew the answer to this question before you even asked it, Patrick! One of those questions that you need to be convinced of the answer, even though you knew the right response. Also, it hasn't been said yet but keep it in good shape. Should you take a fall, or the helmet takes a hit, inspect for damage, and if unsure look into replacing it. I just had to replace mine, lasted about ten years, but between the heat and sun of summer and the cold of winter the plastic can become brittle. As you probably realized before asking the question- it's not worth risking your life over $100. Buy a helmet. Wear it. ".. I would add that it is sometimes impossible to avoid a party above you in crowded areas. Here in the PNW, Mountaineers trips, or trips that Mountaineers are on, are famous for rock fall..."
Alas, one reason I now only climb when there is no easier way to the top. 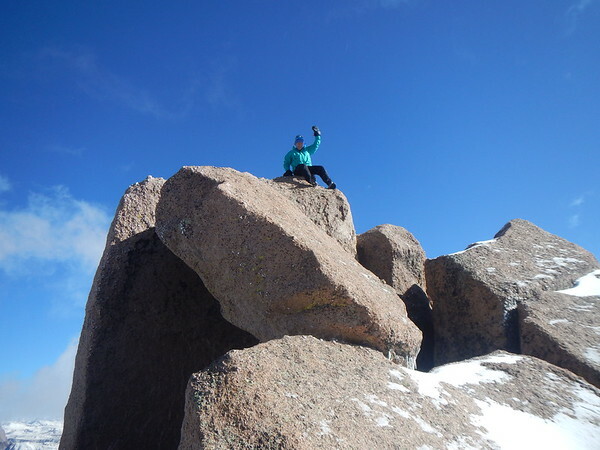 Climbing for me is no longer a sport for its own sake; rather a means to an end. I no longer have the nerve to tolerate fist size granite hail humming past me like a ricochet bullet. I don't like when other teams are above me, I'd rather find something else to do. There are other places to climb. And I don't climb if its warm enough to release blocks frozen in place, nor do I travel deep snow covered steeps in the afternoon. I have lost three associates over the decades who chose to defy the odds. All seemingly freak accidents on routes requiring only nominal mountaineering skills, but all occurring in sundry conditions. If I have to attain a high col, I'll set out in the dark so I can get down the other side before the sun weaponizes the terrain. 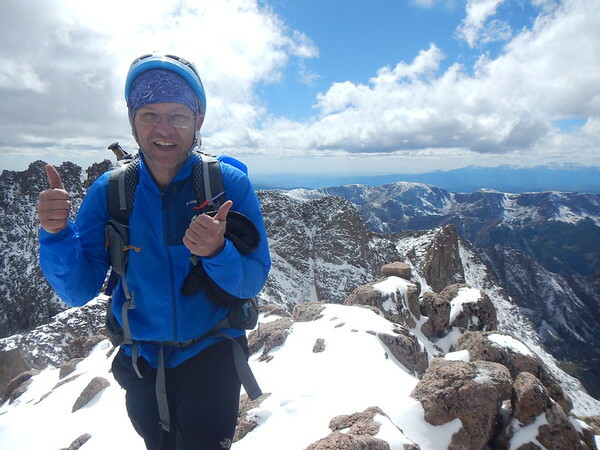 If one is concerned for their safety they should realize the dangers of crowded routes and climbing melting landscapes are substantially unmitigated by helmets. In this context helmets are like seatbelts in jet planes. Seatbelts will protect you in turbulent air, but many people un-belt when the light goes off. Belts and lids are most useful when we assume we are most safe! But for real emergencies belts are more a ritualistic nod to safety than an effective interdiction to the forces they are likely to encounter when things break loose. The same goes for helmets. I'll bring a helmet if the activity meets my aforementioned criteria, mainly to protect against the discomfort of very minor pings and dings, but I am under no pretense that a helmet somehow tempers the hazards of shooting galleries, bowling alleys and avalanches. I would add to Ed's post above, that in the case of thawing conditions that loosen rock above you, it is something that you can't always predict. As Ed says, a helmet is just a little extra insurance and won't save you in the event of some bowling ball sized chunk coming down. I would also caution on Patman's notes about Class 3 and Class 4 and the need for partners. We should note that Class 3 is easy, but in no way does it imply a lack of exposure, nor a lack of danger from rock fall, etc. And while Class 4 guidelines imply no intermediate protection, the reasons that some routes are rated Class 4, are not as obvious. Here in the PNW Fred Beckey is a bit of a legend. 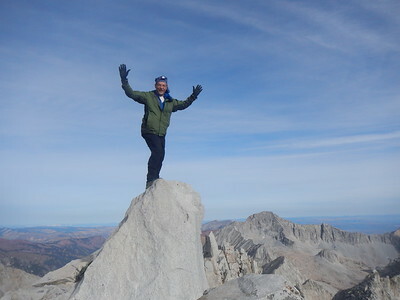 He is responsible for the Cascade Alpine Guide which details a lot of routes. Unfortunately, Fred, (as well as others) had a habit of rating some routes Class 4 because the Cascade rock was so rotten there were no good places to protect. Another reason is that Fred and others may have done the section without protection in the interest of speed. So the caveat is to take ratings with a grain of salt and as a rough guideline. After several decades of climbing, caving, and assorted outdoor activities (including a lot of SAR), I am a big fan of well rated climbing helmets. On a non-climbing project just last year (a paleontological dig), we were operating at the base of a high dirt embankment. We marked out an area, deciding that within the area, we would wear a helmet. Digging for two weeks, all went well and then a small rock, falling from above, struck a ladies's helmet very loudly. No problem and work continued. Without the helmet, we would have had a problem, possible serious injury, and a disruption of our work. And besides all the reasons listed, helmets are a better place to place TS stickers than your bare skull. While it is true that helmets are not a 100% protection,they do reduce injuries in climbing. Unfortunately, when the rock is exfoliating, as it did a couple days ago in Yosemite on El Cap, nothing will provide protection other than avoiding the rock. my trip is done and a report is forthcoming. 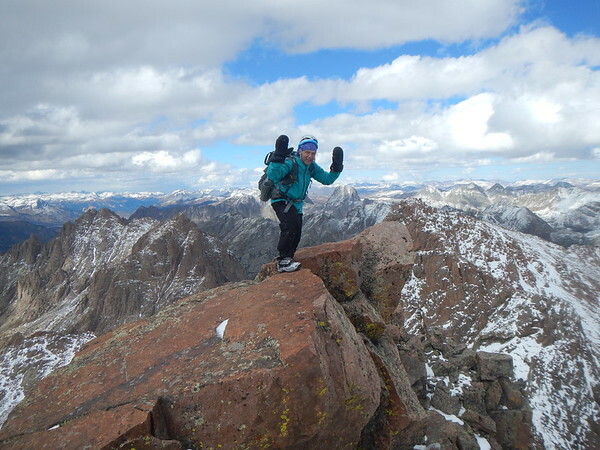 I was able to bag all four 14ers from Chicago Basin! And as it turned out, this helmet did protect me from a falling object that I hadn't anticipated: a big icicle! An icicle about 8 inches long and 1.5 inches thick at it's base fell hard enough on my head to still hurt a bit. I hate to say it but that helmet does not seem to remotely fit you. It looks way too small and it's not protecting any part fo your forehead. Yeah it looks that way in these photos; I had the same reaction when I saw them for the first time. It actually completely covers my forehead when properly adjusted. This is the result of me rushing to get it on at 4AM. Oh yeah, meant to add that it was also a result of my inexperience with wearing them, no doubt. Scanning back through this thread reminded me of a climbing incident. 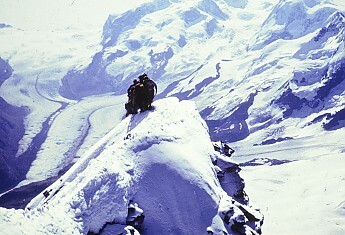 I was climbing the Matterhorn via the Hornligrat (the most popular route from the north side. That route is incredibly over-occupied. It was the first route successfully climbed. 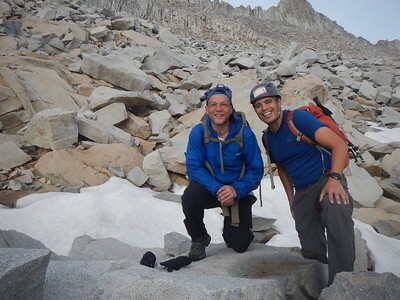 And yes, as Ed says, we were wearing cute little felt "alpinist hats". On the descent of that first ascent, one of the climbers slipped and fell pulling 3 of the climbers off. The others hung on to rocks, but the rope (a manila rope that had been overused, something we would never used these days) broke, resulting in the death of the first 3. As it happened, after summiting, we were descending and at the same location as the 1st ascent accident. I was leading on the way down and had paused at an anchor when my partner Clark slipped and sat down hard. He was close enough behind me that his foot hit my head with his crampons. It hurt badly enough I thought I would die. However, luckily it was a grazing blow, although a bit bloody. Yeah, I know, we should have been farther apart and we should have been belaying each other in turn. Some advice - the Matterhorn may be a primary target. But it is a mob scene. Plus the guides rush their clients up the routes and literally climb over the "non-paying" climbers. On the ascent, one guide rushed past me and was pushing his way past a climber ahead of me, and slipped. The climber ahead of me (one of us "non-paying" furriners) and I caught the guide. He just glared at us and charged ahead. At the lower section we were on at that point, you didn't wear crampons - it was like a staircase going up. The upper few rope-lengths do require ropes, though. Or maybe I should say "used to require". Thanks to continuing climate change, the upper part of the peak is pretty much bare rock during the summer season. The following is a commentary from Petzl about using a helmet. Petzl, of course, has an interest, since they make climbing helmets and other climbing gear. It's not just about rockfall anymore. The initial climbing helmets were designed with one thing in mind, protect mountaineers from falling rock. Today the sport is different. We are much more aware of the dangers of head injuries, and climbers are much more comfortable taking lead falls on well-protected sport routes. 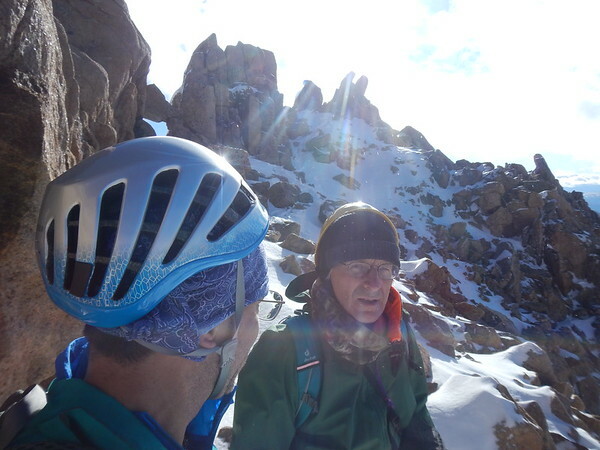 Whether climbing in the mountains or at the crag, a helmet with complete top and side protection provides an additional level of security in more than one scenario. A misstep can place the lead rope behind the leg and cause an inverted fall. An unattentive belayer may be pulled into the wall. And loose rock or ice continues to threaten both climbers and their belayers. Considering the information that is coming out about football and soccer players and the other sporting events, (plus my own flight over the handlebars of my bike when descending Topanga Canyon and passing many cars at speed, plus experiences of head injuries while climbing, I would suggest that using a helmet when climbing even "easy" routes is a "no-brainer"
Actually Bill I think NOT using a helmet while climbing is a "no-brainer". A thank you, thank you. I'll be here all week. Try the veal. All forums: Older: A letter to the editor Newer: Will glycerin in soap compromise waterproofing? Topic: Do I really need a climbing helmet for bagging 14rs with class 3 routes?